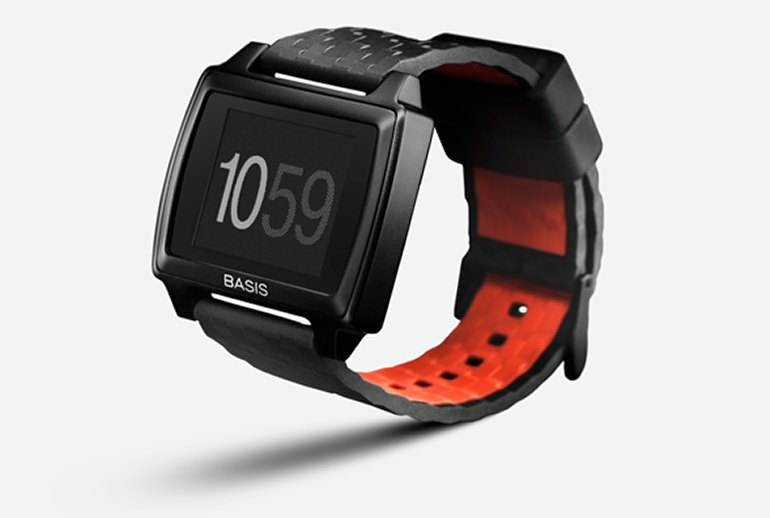 The Basis Peak automatically tracks heart rate, activity, and sleep, with little input needed from the wearer. The Peak is waterproof and its battery life is good for a wearable smartwatch/fitness tracker. The Peak can receive notification of incoming calls and messages from compatible smartphones. 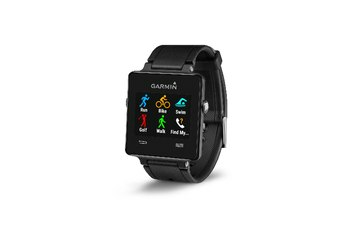 While the Peak can alert you to incoming calls and messages, you can't reply from your wrist. The Peak and its mobile app present you with a lot of data, but not a lot of guidance about what those numbers mean. 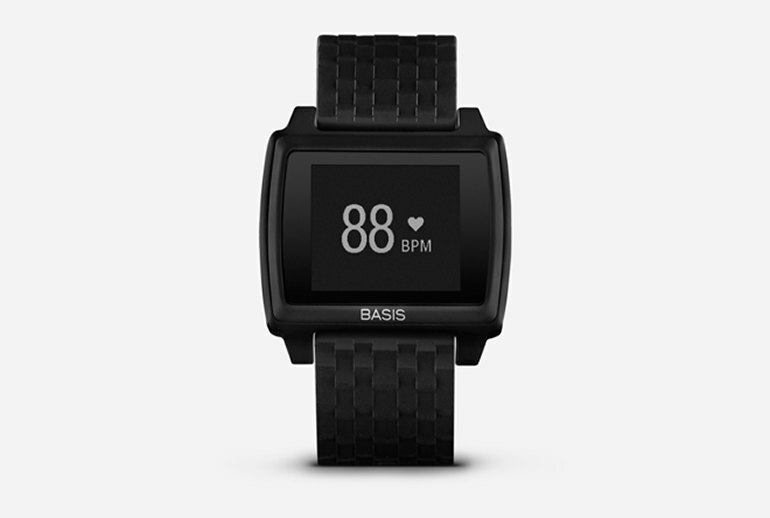 The Peak is not as attractive as rival fitness bands and smartwatches. 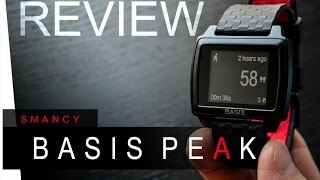 The Basis Peak began life as a wearable fitness tracker, but thanks to a software upgrade, it now functions as a smartwatch, too. This device features sensors designed to track your heart rate, sleep, and activity automatically, with little input from you. It detects when you’re sitting still, walking, running, biking, sleeping, and more, and monitors your heart rate, sweat level, skin temperature, and sleep quality. Some data is visible on the 1.26-inch display, while even more is available when the Peak syncs with its mobile app. It looks like an ordinary watch, and a slightly sporty one at that. But the magic is in how it automatically detects when you're walking, running, sleeping, and bicycling to measure all those activities when you do them. Basis' bands aren't the prettiest, but they're the only fitness trackers I've been able to wear with any consistency. That's because the hardware isn't asking me to do very much, other than wear it. 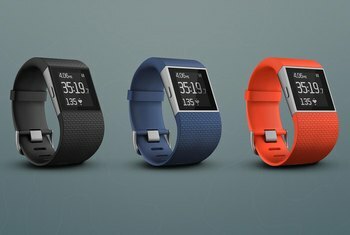 Where wristbands from Jawbone and Fitbit have emphasized ease of use, pretty charts, and feelgood goals, the Basis bands have thrown a full battery of sensors in your face, practically daring you to dispute the veracity of their data. 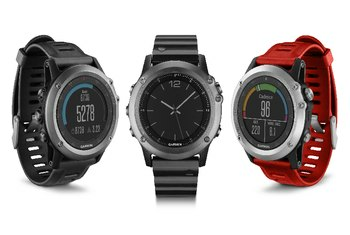 However, the Peak's watch face comes in only one size, and it is rather large. As a petite female with small wrists and arms, the Peak looked big on me, and felt a little heavy. Basis' app continues to be one of the most data-heavy fitness apps out there, which is great for those who like to crunch numbers as much as their abs. The Basis Peak knows my daily average resting heart rate, which it gets from when I sleep, but there isn't much else it does to help me. I swipe, I see my heart rate. It looks high. Is that bad? Is that okay? Does it mean I'm stressed? Was it the coffee? I don't know. The real problem with the Peak, however, it that it'll record your beats per minute, skin temperatures, perspiration and running exploits, but not use them to help you find ways to improve your fitness. It's hard to overstate just how massive an improvement the Peak is over the original B1 band. For starters, it's much thinner—so it doesn't jut off your wrist like a broken bone and catch on everything. It was only after starting to use the Basis Peak that we made a key observation: it looks a lot better than expected. 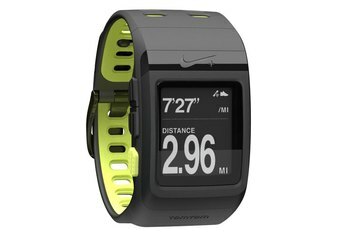 Marketing shots do the tracker a disservice, and it's far from the Quasimodo of the fitness tracker world that you might be expecting. Thanks to its focus on doing only a few tasks, the Peak gets 4-5 days of battery life if you top it off for about 15 minutes each day. That means that you can actually wear it to bed a few nights in a row and not wake up to a dead device, something that can’t be said for most smart watches on the market or slated to arrive any time soon. 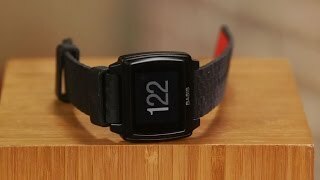 If you want a fitness tracker with a large screen that you can also use as a watch (and eventually a smartwatch), go for the Peak. If you care a lot about keeping track of your heart rate and sleeping patterns, the Peak is probably your best bet. Display is not the sharpest I’ve seen. Pixels can be observed but it gets the job done. 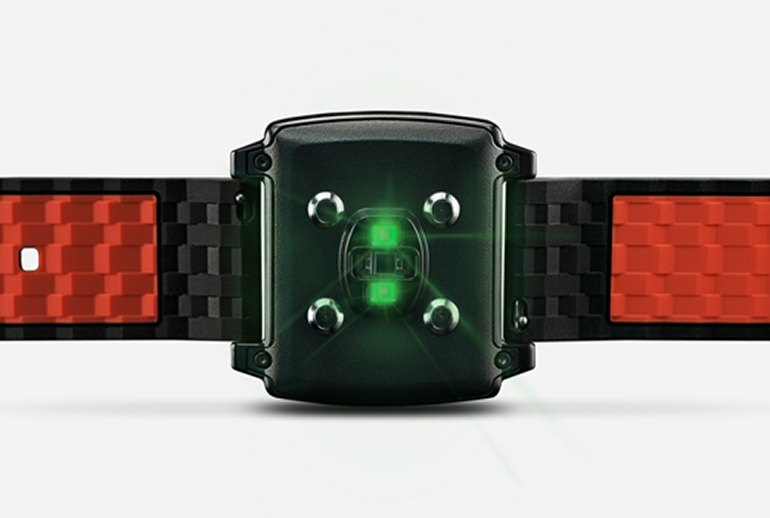 The user can clearly see the display in the brightest of days or the darkest nights.